JASON DERULO WEARS KING BABY TO THE TEEN CHOICE AWARDS! 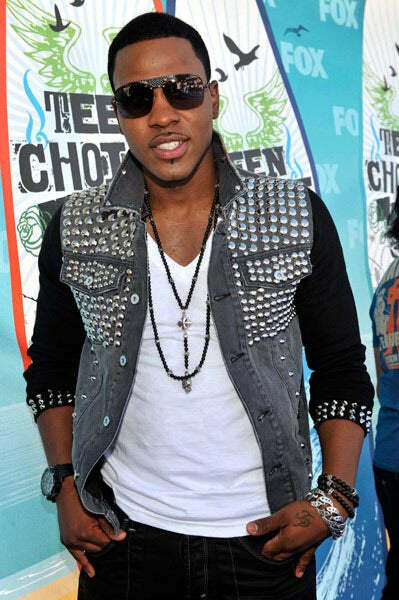 Pop Sensation Jason Derulo wears King Baby to the Teen Choice Awards! Check out these great pictures of him wearing King Baby walking the red carpet and while preforming his hit song “In My Head”! Jason Derulo is wearing an Onyx Bead Rosary w/3D MB Cross and Day of the Dead Skull (K56-5046), Black Onyx Bead Necklace w/Silver Roses (Q52-5169B), 2 Black Onyx Bead and Silver Skull Bracelets (K40-5146), a Black Onyx Bead Bracelet w/Silver Roses (K40-5251), and a Seeing Stars Large Link Bracelet (K42-5159)!